FNA – The Qatari road ministry strongly rejected a Fox News report that Iran has smuggled weapons via the country’s airspace to Lebanon. 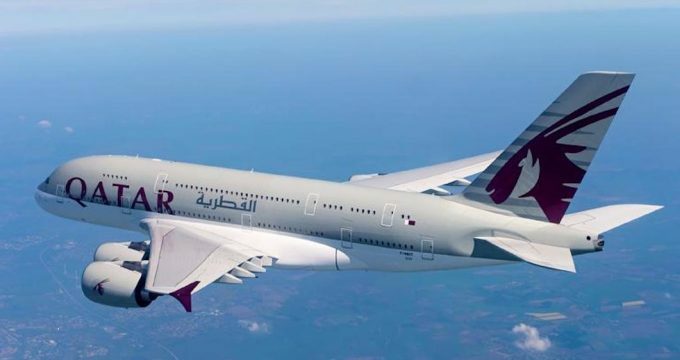 The Qatari ministry in a statement on Sunday voiced surprise over such claims, stressing that the rumors saying that a cargo of weapons has been unloaded in Hama international airport and then flown to Beirut are completely baseless. The statement came in reaction to a recent report by the US Fox News television channel which claimed that Iran’s Fars Qeshm “had smuggled weapons into Rafic Hariri International Airport in Beirut”. The Directorate General of Lebanon’s Civil Aviation in a statement categorically dismissed the report. “The Iranian plane landed at Beirut Airport empty, took off loaded with livestock,” the Lebanese Civil Aviation Directorate General said in a statement on Saturday. Lebanon’s aviation authority explained that Qeshm Fars Airlines was an Iranian company that had already applied before the Civil Aviation in Lebanon to operate two airfreight flights between Tehran-Damascus-Beirut-Doha, and that the carriage merely consisted of cattle. Categorically dismissing the Fox News report, the statement clarified that “Fars Qeshm is an Iranian Airline which had applied earlier to the Directorate General of Civil Aviation in Lebanon on October 15, 2018, for a cargo flight between Damascus-Beirut-Doha Airports, according to a timetable. The Lebanese Civil Aviation Organization urged the media to be vigilant in publishing any information related to Beirut International Airport.